Something about Chloe just makes me smile so big! I'm thinking maybe it's her infectuous big smile. ;-) She is a total ham and I love it! It has been awhile since I photographed her at Hamm's Orchard. 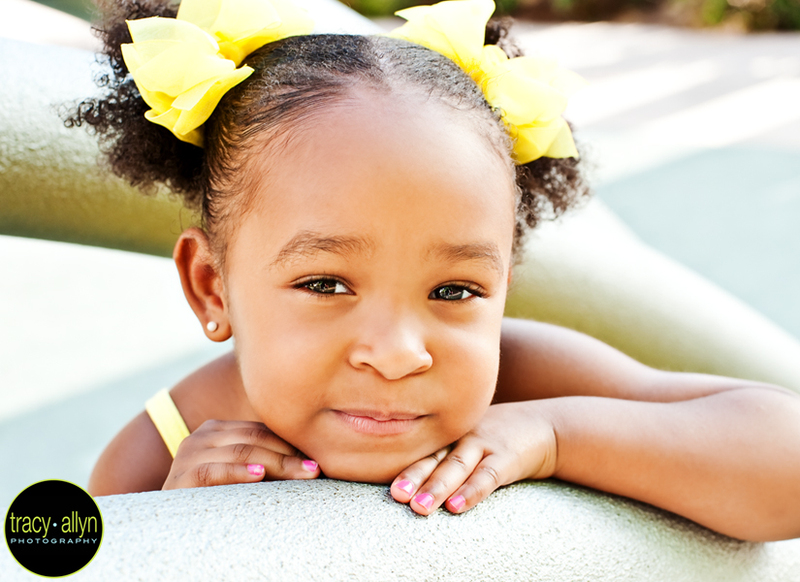 Her mom, Caricia, had a great session plan. 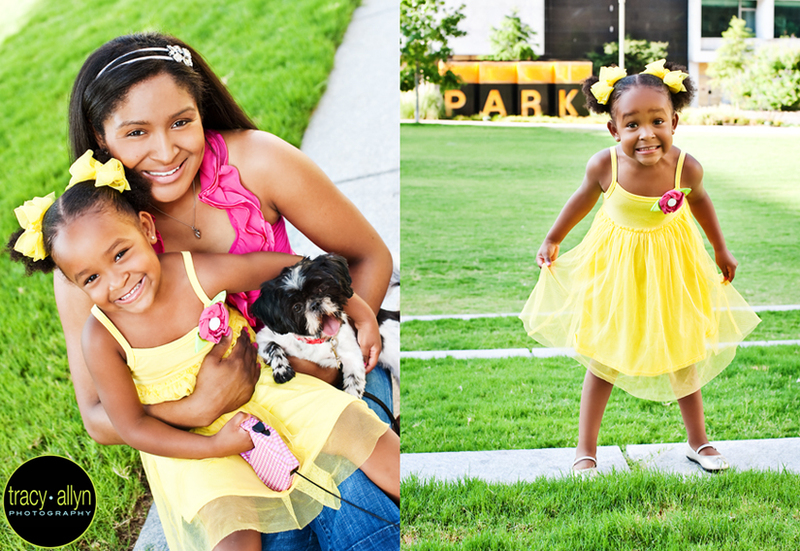 We started the morning at Main Street Garden in downtown Dallas where Chloe could play and bring her puppy, Coco. 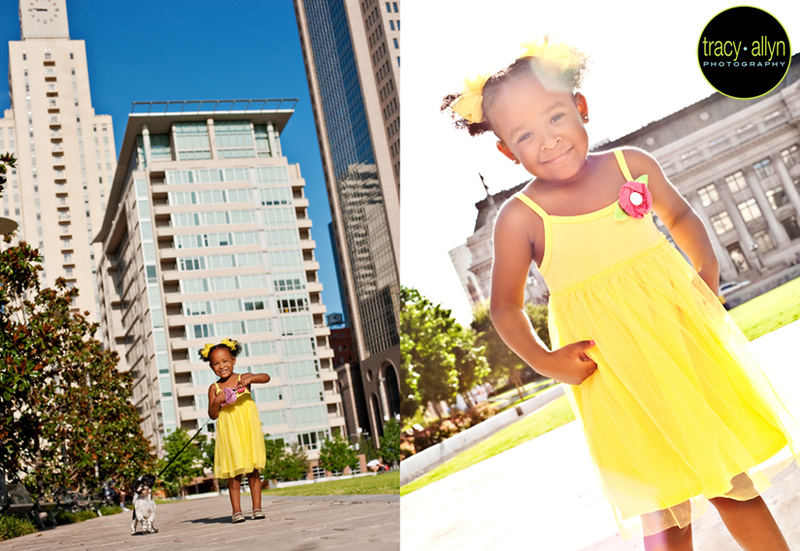 I loved the contradiction between this teeny girl and dog and the huge buildings surrounding the park. So fun! But the morning didn't end there... we headed over to The Cupcakery in Uptown and enjoyed some sugary sweetness of cupcakes. They were so nice to let us shoot inside as she enjoyed her cupcake(s). Yes, cupcakes... it's what's for breakfast! And sneaky little devil dropped her julius cupcake just as she was almost finished and managed to wrangle her mom's red velvet cupcake! Nice score, Chloe... way to go! I, of course, had to enjoy mine later but man, oh man, were they ever yummy! 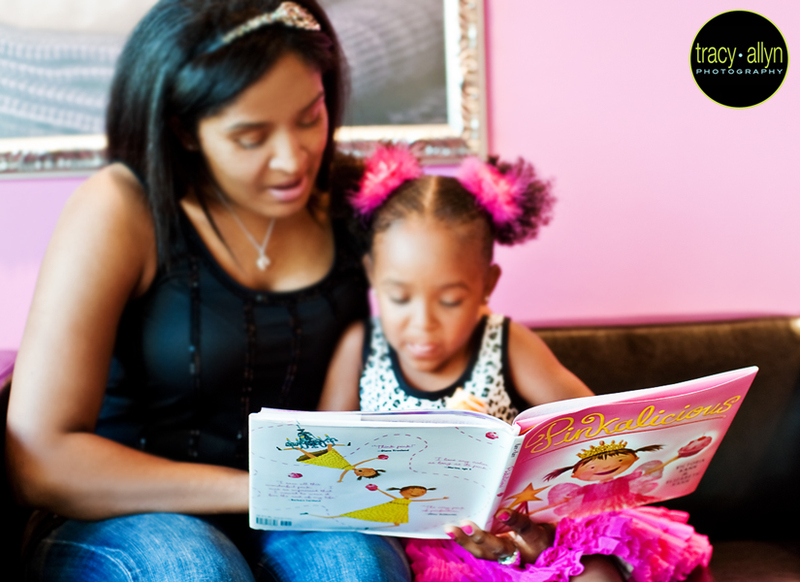 Caricia is a librarian so we always include a little mother-daughter storytime in their shoots and this time she brought along Pinkalicioius by Victoria Kann. Which was perfect for this shoot, in case you haven't read it already! Definitely one to look for at your local library or pickup a copy of your own! I just love the shot of Chloe looking up at her mommy so sweetly as Caricia took a little reading break so I could take her picture. 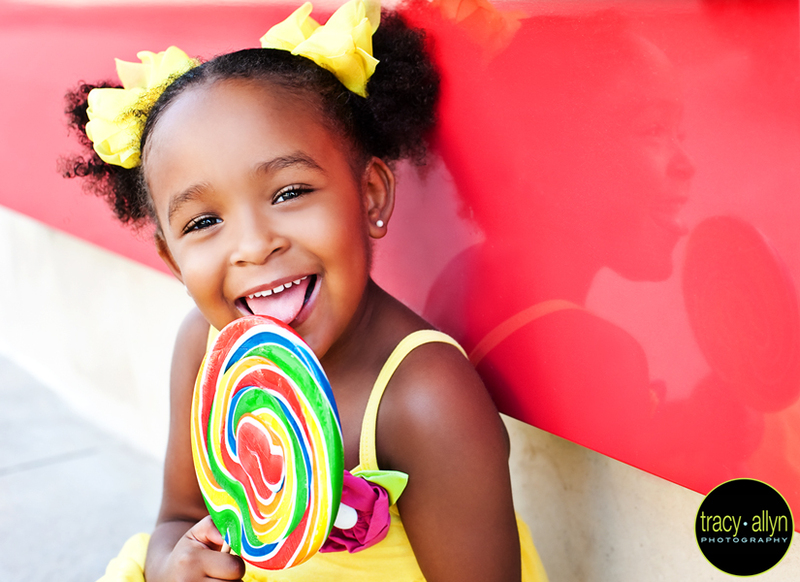 The whole morning wrapped up with a sweet, sugary, sticky kiss for mommy followed by more sugar outside with a giant lollipop! You would think she was up bouncing off the walls all day after that but Caricia said she was out like a light most of the day! Good times will do that to a girl! XOXO you two!